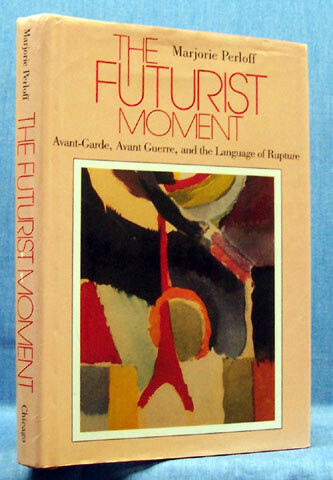 The Futurist Moment: Avant-Garde, Avant Guerre, and the Language of Rupture (University of Chicago Press, 2003) has always been my favorite book by Marjorie Perloff. This book has inspired my own 1913 book, less by the choice of its historical focus than by its method. What the Futurist Moment manages to do so well is to be both historical, by bringing into the discussion a wealth of details and facts, and also current, keeping antennae for relevant contemporary issues. Perloff historicizes and problematizes at the same time, without encumbering herself with the trappings of heavy theory. That was to set a durable example for me in 1986. Most chapters begin with discussions of Cendrars, Marinetti, Pound, Delaunay, Malevitch, Tatlin, and end with Cage, Smithson, Antin, Derrida, or Barthes. Perloff bypasses antiquarian history to usher in a Poundian historiography, investigating the past with a view of the new(s) that stays new(s). It is a book written with a purpose, the form of a teleology geared to the Now. This has allowed it to retain its power of seduction and conviction, which is also why it has not aged a bit a quarter of a century later. She avoids writing another book on Futurism — this has been done and will be done again, with more details and other archives — by giving us a book on the futurist moment, a word that should be understood in German: “momentum” and “Kraftwirkung,” the calculation of dynamic applications of work — as in physics — to a reality seen as a network of forces. They shape history by making it work, and, at the same time, making it mean. Hence the decision to begin with Cendrars, a poet who never identified with futurism as a movement. It would have been different had Marjorie chosen Apollinaire, who, after all, had a “futurist moment.” Why Cendrars? Because of his superb “Prose du Trans-sibérien,” a poem magnificently illustrated by Sonia Delaunay. Its scrolls festoon all the pages of this book. Here is another way for me to relate to this book: it is an extended meditation on the Eiffel Tower. It is because of my great-uncles that I feel a personal connection with the iconic Parisian monument. 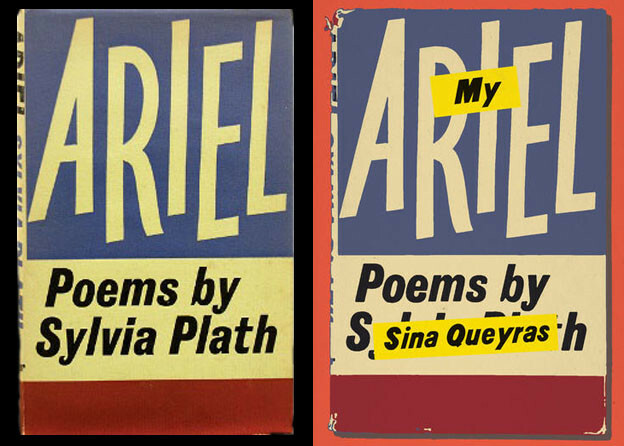 One of them was in charge of supervising the exact formula for the repeated applications of paint without whose layers of anti-rust cover the edifice would have crumbled (this fact would call up for me the family business of underwater paints inherited by Italo Svevo in Trieste). Another uncle, a lovely man but a bad poet, had published a sonnet that I had memorized in my youth; it ended with an image of the winter sun setting in Paris, seen at the base of the tower by the viewer as it turned into a mass of molten iron beaten into shape by a monstrous anvil! One will have understood that by paraphrasing Barthes on the Eiffel Tower, I am describing the effect of Marjorie Perloff’s book: indeed, it makes you become intelligent by giving you the ability to see suddenly new connections between texts, objects, and history. What she avoids in her exploration of Futurism is Barthes’s belief that the Tower is unique, a “total monument” to be found only in Paris. Perloff is too cosmopolitan to fall into the trap of such chauvinism. Her Towers are Russian, Italian, German, and American, when finally the Tower spreads out as a spiral in Smithson’s famous jetty. This is how the future becomes the Now, as John Cage suggests in his witty endorsement of The Futurist Moment. Roland Barthes, “The Eiffel Tower,” in A Barthes Reader, trans. Richard Howard, ed. Susan Sontag (New York: Hill and Wang, 1994), 243. This Jacket2 feature is devoted to the life and work of Marjorie Perloff, whose critical inquiry over the course of more than three decades combines the pragmatism of lucid analysis with the sociohistorically informed commentary of distant reading to arrive at what Charles Bernstein calls “an inductive criticism grounded in a grappling with the poem at hand.” Jacket2 publisher Al Filreis brings together a number of different poets and critics for discussions of Perloff's critical legacy as well as reflections on the interpretive craft she has shaped for American poetics.